My debut novel, WHERE THE WATERMELONS GROW, has been out for just over a month now. In so many ways, launching this book has been more exciting and fulfilling than I ever could've imagined—seeing others, both friends and strangers, responding to a story I CREATED is never going to stop feeling surreal and incredible. 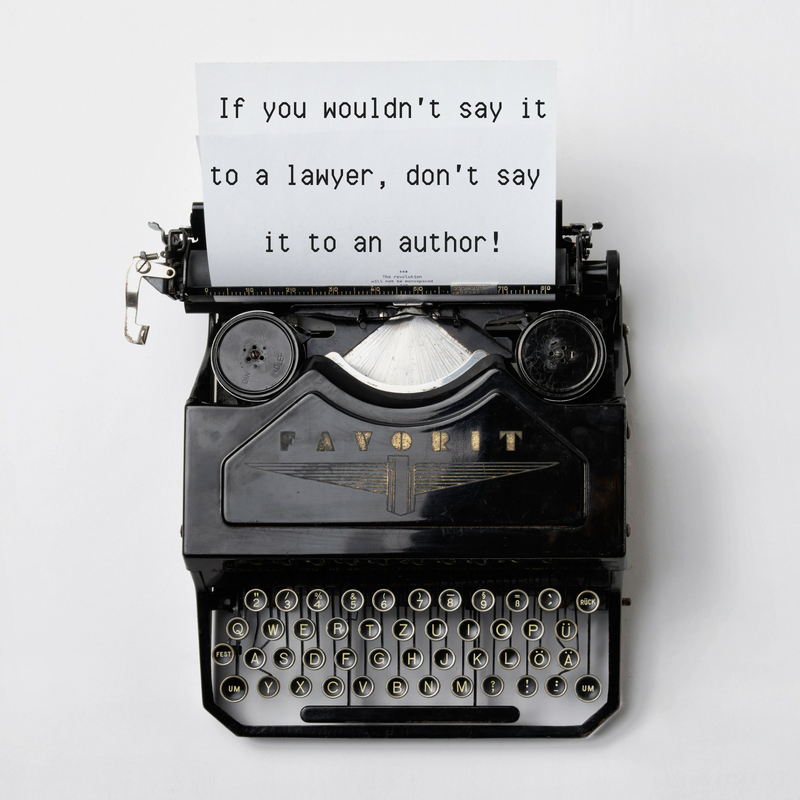 If you wouldn't say it to a lawyer, don't say it to an author! Many published authors are people who have spent their lives creating art and dreaming of the day that they'd be able to see their name on a book spine. But we authors are also professionals. Writing is our business as well as our calling; we spend a lot more time answering emails and forcing ourselves to churn out words were we feel utterly uninspired as we spend chasing the Muse. Writing provides at least some of our income, and it's something we hope to keep doing long term. Writing is our career, not our hobby. So what kinds of things should you think twice about saying to an author? 1. "I've always wanted to write a book. I totally would if I had more time!" If you aren't telling your lawyer friends that you would totally go to get your law degree if you weren't so busy, then don't say this to an author, either. Pretty much every author out there is juggling a full plate—most work full time day jobs, many of us have kids, and some of us are battling disability or illness also. We don't write because we have an abundance of free time—we write because it's important to us and we make it a priority, even if that means cutting other things out. Just like going to law school requires sacrifices, so does writing. While we get the desire to write a novel, which lots of people find intriguing, comments like these can really belittle the amount of effort we put into making time for our work. A better way to express this sentiment: "Wow, that's so cool that you've written a novel! I can't wait to read." Have you ever looked at a lawyer and thought, man, they must not REALLY be committed to justice, or else they would forego a paycheck? Yeah, I didn't think so. With occupations like lawyers, doctors, or policemen, we can easily accept that a person does a job both because they love it and feel it's important AND because they need to keep putting good on the table. It's okay to want both things! Again: authors are professionals, and as in any job, being a passionate creator and wanting an income are not mutually exclusive. A better way to express this: Dude, just don't. 3. "How's the book selling?" A better way to express this: "Congratulations on your book coming out! That's so exciting." Then, if you wanted, you could add something about how you've seen some positive reviews of the book, or how exciting it is to see it in bookstores when you're out and about, or how much you/your kid/your friend enjoyed it. Focusing on RECEPTION rather than SALES is a good way to go. I promise, NOTHING is going to speak to an author's heart as much as a simple "congratulations, I really loved your book/am really excited to read!" 4. "I read your book, but I did notice a few big issues I thought I'd tell you about..."
Once a book is out in the world, the author has very little control over it anymore. Every book makes it to print with a few typos, even after half a dozen people (or more) have read it! If what you're trying to suggest to an author is a more big-picture, artistic fix, it's almost certainly just a matter of different tastes. Not every book is for every reader, and we authors understand that... but we generally prefer not to hear a blow-by-blow of how you'd have written our books better. If you wouldn't sit your lawyer friend down and tell them all the ways they should've handled their latest court case better, don't do the same to your author friends. Also, if you didn't like the book? That's totally fine! But express that to family or friends, or in a review on social media. Don't share it with the author (which includes tagging them in a bad review on social media). Trust me when I say that by the time a book goes to print, it's been through editorial revisions with multiple top industry professionals. Authors make choices with care and deliberation, putting thought into everything we do. Even if you don't like the book personally, or disagree with some of the choices we've made, acknowledging that there ARE reasons we made those choices can go a long way. 5. 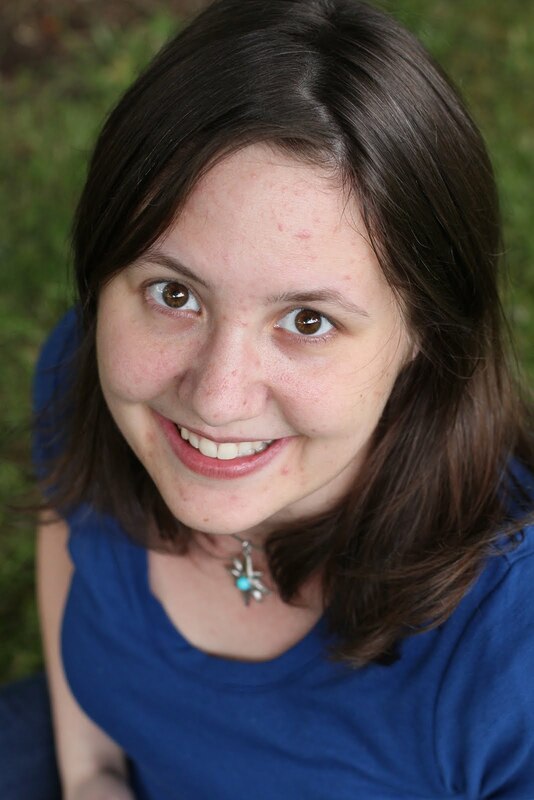 To a children's author: "So, are you ever going to write a real book, for adults?" Look, dude. If you aren't going to go up to your real estate lawyer friend and ask when he's going to become a REAL lawyer, working as a prosecutor, then avoid doing the same thing to an author. Children's books take just as much work, finesse, and emotion as adult books do. Some of us write for children intentionally, because we view that as a sacred privilege, not because we're not good enough to hack it at writing "real" books. A better way to express this: "So, what is it that made you want to write for children?" 6. "Is your book going to be like Harry Potter?" / "Are you going to meet J. K. Rowling?" / "So, writers make a lot of money, right?" In addition to going back to the issues with question #3—asking about how much money an author has made—this is also like going up to a friend who's recently graduated law school and saying, "Hey, so you're a lawyer now, right? Are you going to be president soon?" Breakout stars in the book world DO happen, but they're as vanishingly rare as breakout stars in any other field. Your average children's writer has about as much likelihood of being the next J. K. Rowling as your average law school graduate has of being the next president: maybe a little more than the average citizen who hasn't written a novel or graduated from law school, but it's still really not likely. And questions like these can put a lot of pressure on writers, who have as many insecurities and anxieties about their career trajectory as any other artist. A better way to express this: "Congratulations on your new release—I hope your book does really well!" 7. "When's the movie coming out?" Honestly, it's about as likely for a movie to be made about the life of your lawyer friend, so. This is another question that can really hone in on your writer friend's doubts and insecurities. Rest assured, if a movie gets made of her book, she will let you know VERY CLEARLY! A close relative of this question would be anything about when the book will end up on the bestseller list (most never do). A better way to express this: "I enjoyed your book so much. I think it would be a cool movie!" "Congratulations on your book! That's so wonderful." "I'm really looking forward to reading your book!" "I've requested your book at my local library!" "I hope that your book does well!" "It's so cool that you've written a book! That's really wonderful."